Nina was among the first four set of females to get into the house, She was excited to be in the house. The last daughter amongst 5 siblings, Nina loves singing and chatting. The 21-year old English and Literary Studies graduate enjoys eating spaghetti and enjoys music by Wizkid. She describes herself as unpretentious and can neither stand proud people or liars. 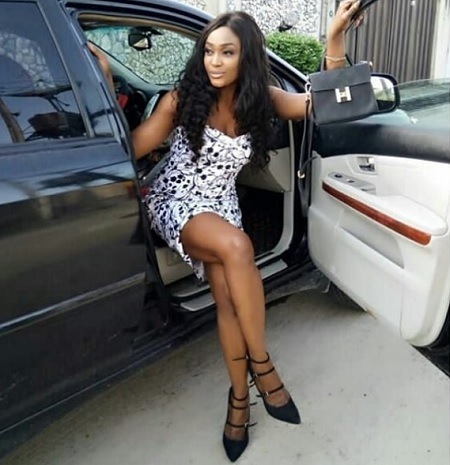 Nina was the first female housemate to get on with the Big Brother game alongside her partner in crime, pilot Miracle Ikechukwu. This was widely expected as these two kissed on the very first night in the house much as they slept on seperate beds. That was preparing viewers on what they were to be faced with in the days to come. Three weeks into thehouse, Nina and Miracle were making headlines all over Africa after Nina gave Miracle the password to log in, they have now explored each other twice, if at all Biggie has been fair to the viewers, he can mean to watch by himself if he chooses to.